Yes, that’s right. Very soon we will be coming to a church near you. 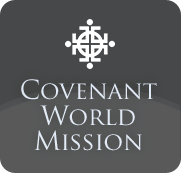 On June 20th, we fly to Minneapolis, MN to be a part of the Covenant’s Annual Meeting which will be held there. 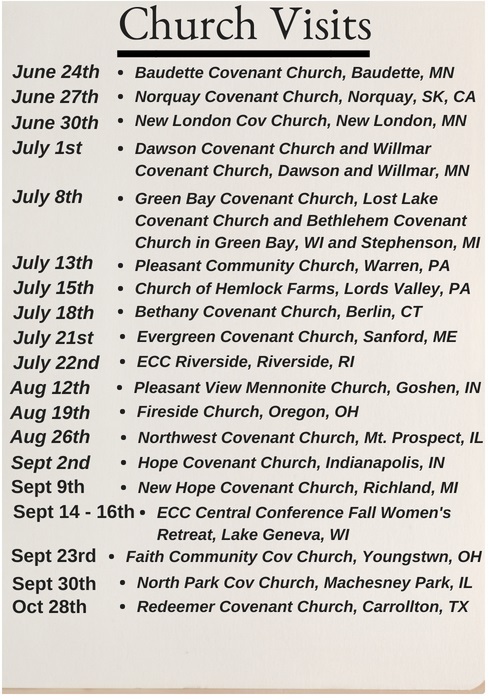 From the Annual Meeting, we will begin a process of over a month of consistent travel (visiting churches in Minnesota, Canada, Wisconsin, Michigan, Pennsylvania, Connecticut, Maine and Rhode Island) before we settle into our home for a year in Goshen, IN. We will be living in my (Joel) parent’s house as my dad is now living in a retirement home. My dad is also going to let us to use his car for the year so some of the essentials for our year of Home Assignment are already taken care of. 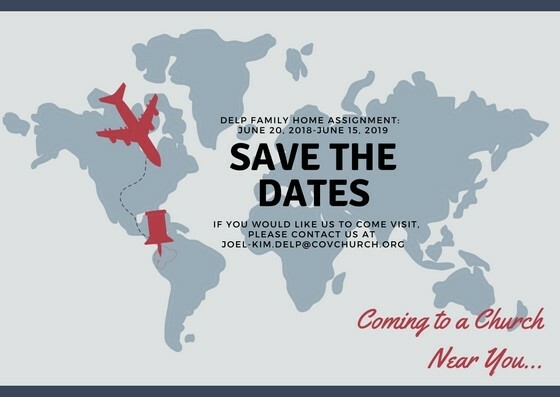 Though it will be difficult to be away from our friends, our ministry and our home in Ecuador for a whole year, we are really excited to see the family and friends that we will be able to spend time with this year while we are in the States. Please pray for us during this crazy time of transition and travel that we can remain sane. We will see you soon!